Vapors build up in the recovery drums/storage tanks due to flashing when introducing new feedstock, pressure changes due to level and/or agitation, and temperature changes. This causes increasing pressure in the head space of the tank, and in some cases can create a hazardous situation. The problem is that the vapor may contain valuable feedstock or environmentally unfriendly chemicals. Vapor Recovery Units (VRUs) were developed to help recover or destroy respectively valuable or hazardous chemicals which may have been traditionally flared or vented. In the case of crude oil tanks, VRUs have a typical hydrocarbon recovery rate of greater than 95% and a payback period of less than one year. 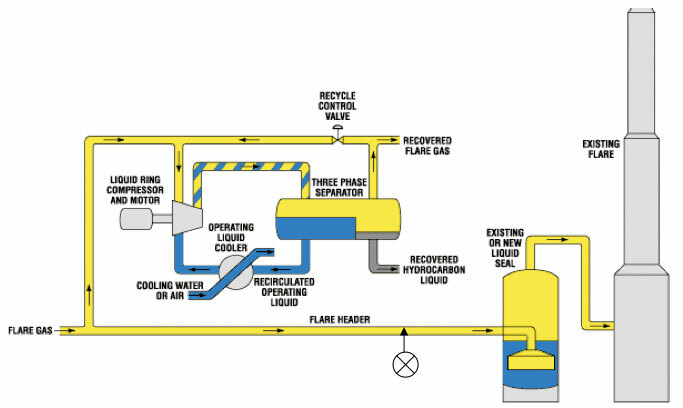 Oxygen concentration is important to monitor not only in the knockout drums/storage tanks, but in the flare/vent header as well to prevent explosive/flammable conditions. The oxygen measurement is typically used to shut down the system, or purge with nitrogen, under unsafe conditions. Traditionally, paramagnetic analyzers have been used for this analysis. The paramagnetic measurement is susceptible to error when the sample background changes because of magnetic interference from other molecules. 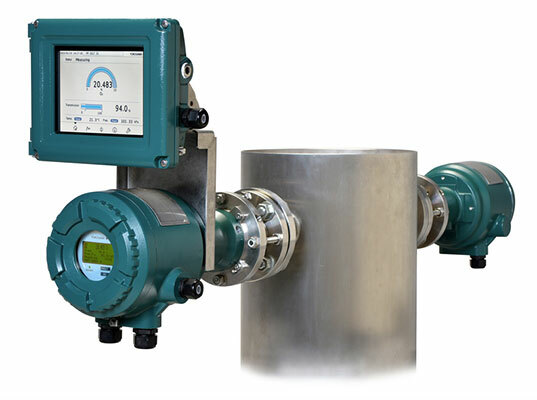 Yokogawa's TDLS product line provides an interference-free, direct measurement. Measure oxygen concentration at the flare line and the recovery drum/storage container (not pictured), using the TDLS220 or TDLS8000.